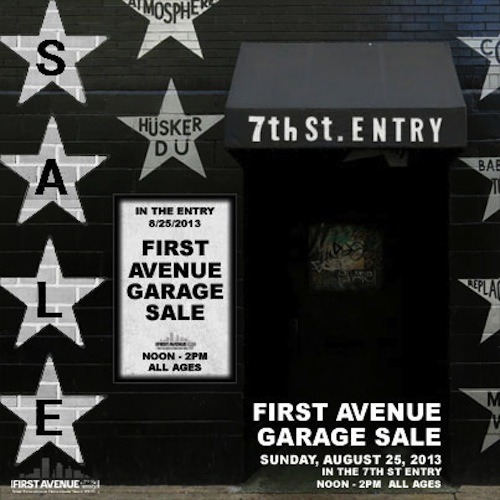 First Avenue is doing some Spring cleaning (yeah we know it’s August, but it still FEELS like Spring, right? ), and we have lots of stuff that simply needs to go! …and more tiny treasures that have been hanging out at the venue for years with no proper home. So come check it out: Sunday, August 25 in the 7th St Entry from Noon - 2:00pm. All proceeds will benefit the Twin Cities Music Community Trust. All sales are final. No returns, no refunds, no credits or exchanges, you buy it, it’s yours, period.